This article is the inventory management installation of the hot-topics breakdown series. Keep reading for more of what our experts have to say about this year’s hottest Business One topics. Managing a warehouse is not at all easy. Warehouses can be a bit chaotic and confusing. Here are some of the challenges that my warehouse has and how I used SAP Business One to make my job, and everyone else’s, much easier. The sales guys don’t always have visibility into item availability or see wrong quantities on hand, and my warehouse personnel are having a hard time finding products for shipping. The accountant can never get a good number that represents the inventory overall value. Since we ship long distance, we want to keep track of items in transit, and identify when they reach their destination. Do these sound like issues that you are facing? My name is Jenny. I’m responsible for managing the company’s warehouse. I manage the warehouse by Bin Locations. Every time I receive or release inventory, I know exactly where it is and where it should go. For some items, that needs cooling, I dedicate special bins that are compatible. When a new order comes in, I use the pick list document. It includes the bin location, so I know exactly where to find the item. To make sure my quantities on hand are correct, I setup a cycle count process. Today I got an alert from the system, that I need to count items in the aisle 7. I get right to it. I use my iPad to login, and enter the items counted. Later, I will check and see if there are any discrepancies before I consolidate the information. For my sales guys, I have them use the Available To Promise Check, which shows graphically the item availability we have now and in the future. If they need to know more, they can use the Inventory status report, and drill down to the items information to see exactly what open orders, purchase orders or even production orders that affect availability. Since we carry many different products, I setup different valuation methods depending on the item. Some have standard costs, which get updated once a year, for food items I use FIFO, and for other tangible items I use moving average. When I want to know my overall inventory value, I can run the Audit Report, which shows me exactly the valuation of each item, by warehouse, by location, by dates and much more. I also use an excel report to analyze return statistics and inventory turnover, to identify problematic items, or any over and under stocking of items. All this helps me be proactive about my inventory; and that saves a lot of money! 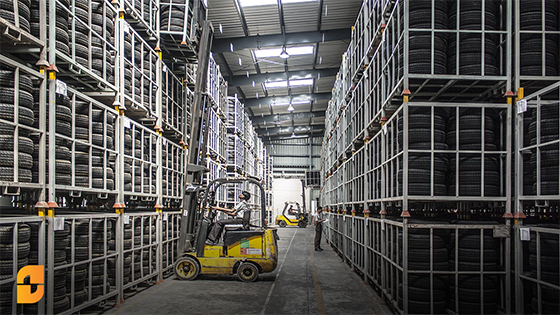 With SAP Business One, I have the peace of mind of knowing what is going on in my warehouse. I see potential issues before they arise, I can even finish up my work earlier than before making everyone happier! How do you feel about managing your inventory? Want to lean more? Join the #BizONE conference designed by customers for customers to expand your knowledge and save money.